The drivers of this year’s Ebola epidemic – the worst on record and the first to reach multiple continents – are structural and deep, wrote Laurie Mazur in one of this year’s most-read articles. Deforestation, persistent poverty, and perhaps most importantly, crumbling trust in public institutions all played critical roles in sparking a fire still smoldering in West Africa. 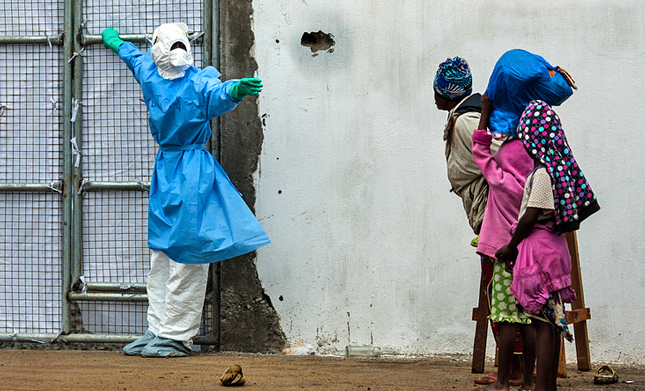 Ebola shined an unprecedented spotlight on how interconnected the world is today. Many of our other top stories followed a similar theme. Water stayed in the headlines throughout the year, spearheaded by ISIS’ dramatic, if brief, capture of Iraq’s largest dam and new research on how access to water is related to conflict and climate change. In China and India, frantic efforts to expand energy supplies are running up against natural limits and public health crises, prompting questions about the best ways to move forward and some great coverage from the China Environment Forum and their partners, Circle of Blue. In many countries, discussions about gender and the treatment of women continue, including research from Wilson Center Fellow Alison Brysk about what a country’s treatment of women can tell us about their likely behavior on the world stage.